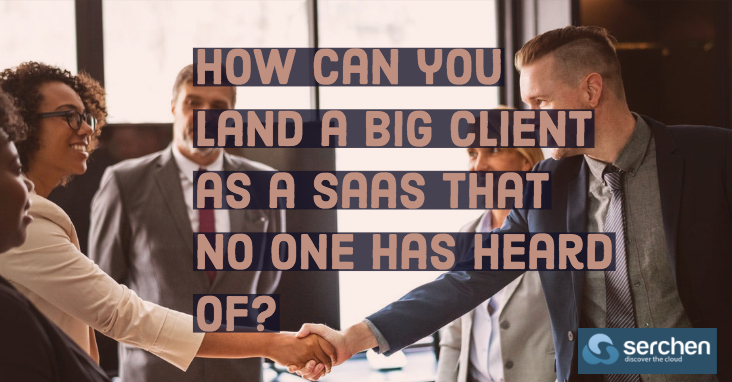 How can you land a big client as a SaaS that no one has heard of? Solve one of their top pain points, for real — that no other vendor is solving. If you haven’t sold to the F500 / Global 2000 before, you’ll be somewhat surprised to learn that between the CIO’s office and functional heads, at most huge companies, there is a clear goal to bring in a handful of new “innovative vendors” into the company each year. In fact, almost all the best run large enterprises know they have to seek out new gems in software to help their businesses run faster and better. Otherwise, their stack and approach will ossify. So they have budgets and often even innovation departments to work with emerging vendors. But here’s the thing — they can only process so many each year. Each new vendor means a lot of business process change, even for a small deployment. Next Next post: Should I use in-house or SaaS tools to develop APIs?